Buaidh no bas (Victory or death) also translated as "Conquer or Die"
Clan MacNeil, also known in Scotland as Clan Niall, is a highland Scottish clan, particularly associated with the Outer Hebridean island of Barra. The early history of Clan MacNeil is obscure, however despite this the clan claims to descend from the legendary Irish King Niall of the nine hostages. The clan itself takes its name from a Niall who lived in the 13th or early 14th century, and who belonged to the same dynastic family of Cowal and Knapdale as the ancestors of the Lamonts, MacEwens of Otter, Maclachlans, and the MacSweens. While the clan is centred in Barra in the Outer Hebrides, there is a branch of the clan in Argyll (McNeill/MacNeill) that some historians have speculated was more senior in line, or possibly even unrelated. However, according to Scots law the current chief of Clan Macneil is the chief of all MacNeil(l)s.
The MacNeils of Barra claim descent from a prince of the Uí Néill dynasty, Ánrothán Ua Néill, son of Áed, son of Flaithbertach Ua Néill, King of Ailech and Cenél nEógain, who died in 1036. Anrothan emigrated to Scotland in the 11th century. Through him the MacNeils of Barra also naturally claim descent from the legendary Niall of the Nine Hostages. Anrothan is claimed as ancestor of several clans in the Argyll vicinity: Clan Lamont, Clan Maclachlan, Clan MacEwen of Otter, and also the Irish Sweeneys (MacSween). If the MacNeils are indeed connected to Anrothan, then they appear to have been a junior branch of the family and were certainly overshadowed in the 13th century by the MacSweens, Lamonts and descendants of Gilchrist. An opposing theory, proposed by Nicholas Maclean Bristol, is that there is reason to believe that they descend from Neill Maclean who appears on Exchequer Rolls at a time when Tarbert Castle was being rebuilt by Robert the Bruce. In 1252 Neil Macneil, fifth of Bara was described as a prince at a Council of the Lord of the Isles. His son was Neil Og Macneil who is believed to have fought for Robert the Bruce at the Battle of Bannockburn in 1314. The earliest contemporary record of the Macneils of Barra is only in 1427, when Giolla Adhamhnáin Mac Néill (typically anglicised as Gilleonan Macneil) received a charter of Barra and Boisdale, from the Lord of the Isles, following the forfeiture of the previous Lordships of Uist and Garmoran, earlier that year..
Gilleonan's namesake, reckoned the twelfth chief, was one of the island lords who were tricked into meeting James V of Scotland at Portree, where they were promised safe conduct but instead were arrested and imprisoned. The Macneil chief of Barra was not released until the king's death in 1542, when the Regent Moray wanted to use the island chiefs to counterbalance the growing power of the Clan Campbell. His son was amongst the chiefs who supported the last Lord of the Isles in his alliance with Henry VIII of England in 1545. The treaty they signed with the English as overlords proclaimed the ancient enmity between the chiefs of the isles and the kingdom of Scotland. In 1579 the Bishop of the Isles made a complaint of molestation against the Macneil chief of Barra. His son, the next chief, was denounced as a rebel by the Priviy Council so many times that he was described as a "hereditary outlaw" and was known as the Turbulent or Ruari the Tatar. He has also been described as the last of the Viking raiders as he often raided from his Kisimul Castle. The king eventually arranged for his loyal vassals to extirpate and root out the chief of Clan Macneil, whose own nephews captured him and placed him in chains. During the Scottish Civil War of the 17th century the chief of Clan Macneil, Neil Og, was appointed as Colonel of the Horse by Charles II of England and fought at the Battle of Worcester in 1651. His grandson was Roderick Dhu the Black who received a Crown charter for all of the lands of Barra to be erected into a free barony. Roderick also led his clan at the Battle of Killiecrankie in 1689. He also supported the Jacobite rising of 1715 and as a result his two sons, Roderick and James, went into exile in France. Upon their father's death they returned but for his Jacobite sympathies, Roderick was consigned to a prison ship, the Royal Sovereign. He was then taken to London and not released until July 1747. The clan prospered until the twenty-first chief, General Roderick Macneil, was forced to sell Barra in 1838. The origins of the Argyll MacNeills is also obscure. In the late 15th century, one MacNeill is recorded as the keeper of Castle Sween. In the mid 16th century, a certain Torquil MacNeill was known as the "chief and principal of the clan and surname of Maknelis". The 19th century scholar W.F. Skene considered Torquil to be the last of the hereditary MacNeill keepers of the castle. Skene believed that after Torquil's demise, the hereditary office passed to the MacMillans. During the time of Torquil, there are records of separate clans on Barra and Gigha. Skene did not consider Torquil to be a member of either of these clans, since both clans had chiefs of their own. The chief of the Gigha MacNeills at this time was Neill MacNeill, who was killed in about 1530. His only daughter inherited his lands and handed them over to her illegitimate brother, Neill. According to historian John Bannerman, while the lands of the chief passed to his daughter, the chiefship passed over to Torquil who was her second cousin. Bannerman considered it likely that when Torquil died, the chiefship passed to the illegitimate Neill. In 1553, this Neill sold the island to James MacDonald of Islay. Neill died without issue, and the next in line to the chiefship was another Neil, who obtained the lands of Taynish. His descendant Hector Macneill of Taynish purchased Gigha in 1590. With the power of the Campbells growing and spreading out into the Inner Hebrides, the influence of the McNeills of Gigha decreased. At about this time the MacNeils on more remote island of Barra, far removed of Campbell power, began to grow in prominence and for a long time since have been regarded as Chief of the Clan and Name. Descending from this branch were the MacNeils of Colonsay who obtained Colonsay in 1700 and owned it until 1904 when it was sold by John Carstairs McNeill. According to Moncreiffe, there is reason to believe that historically this branch were superior to the current chiefs of the Clan Macneil. There is even a school of thought that there is no relation at all between this branch of McNeills to that of Barra. However, according to a 1962 decree by the Lord Lyon, the chiefs of MacNeil of Barra are chiefs of the whole name of MacNeil by Scots law. Kisimul Castle located in Castlebay, Barra is the current seat of the Chief of Clan MacNeil. The 18th and 19th century saw severe hardship to Clan Macneil clansfolk. During this era there was mass clearance from Barra to Canada, Australia, New Zealand, and the United States. During the chiefship of Colonel Roderick (c.1755–1822) Barra suffered its first mass clearances, ironically the chief described himself as a melieuratier (an "improver"). One mass exodus of Barra folk was led by Gilleonan, elder son of the chief. This consisted of 370 Catholic Barra folk (about 75 families in total) who emigrated in August to Pictou, Nova Scotia. In 1838 after going broke, Colonel Roderick's son and heir, Lieutenant General Roderick Macneil of Barra, sold Barra to Colonel Gordon of Cluny. When Roderick died in 1863 the chiefship passed to a cousin (descendant of Gilleonan) who had emigrated during the mass emigrations to Canada in 1802. Robert Lister Macneil was born in 1889. An American citizen and a trained architect, he succeeded the chiefship of Clan Macneil in 1915. In 1937 he was able to purchase Barra and the ruinous Kisimul Castle largely using the money from his second wife. Immediately he began work restoring the castle, aided in part by funds from a British Government grant. By his death in 1970 he had completed the restoration of the castle – ancient seat of the chiefs of the clan. In 2001 the castle was leased to Historic Scotland for one thousand years at the rent of £1 per year and a bottle of Talisker whisky. In October 2004 the chief handed over 3,600 hectares, comprising almost all of his estate on Barra to Scottish Ministers. The current chief of Clan MacNeil is Ian Roderick Macneil of Barra, The Macneil of Barra, Chief of Clan Niall and 26th of Barra, also Baron of Barra. The chief is a member of the Standing Council of Scottish Chiefs. The current chief, while a United States citizen, lives in Edinburgh, Scotland. "In 1914 Roderick Ambrose Macneil, Chief of the Macneils of Barra, died in the United States of America, being still a British citizen, leaving two sons. Paul Humphrey Macneil, the elder son, in his father's lifetime renounced his allegiance to the British Crown and became an American citizen; in consequence of this his father in 1913 nominated his second son, Robert Lister Macneil, the petitioner, to succeed him as Chief of the Clan, and assigned to him the arms pertaining to the Chief. Robert Lister Macneil therefore petitioned the Lyon King to grant him the arms recorded by General Roderick Macneil in 1824, which were borne by his (the petitioner's father), Roderick Ambrose Macneil." Clan members who wish to show their allegiance to a particular clan and chief can wear a crest badge. Scottish crest badges usually contain the heraldic crest and heraldic motto of the chief of the clan. While clan members may wear the badge, the crest and motto within it are the heraldic property of the chief alone. A crest badge suitable for a clan member of Clan MacNeil contains the crest: on a chapeau gules furred ermine, a rock proper. The motto upon the badge is: buaidh no bas, which translates from Scottish Gaelic as "to conquer or die", or "victory or death"). Though not a clan in its own right, MacNeil(l)s who consider themselves of the Colonsay "branch" have used the following crest badge to distinguish themselves from the Barra "branch". This crest badge contains the crest: an armoured dexter arm with dagger; and the motto: vincere aut mori, which translates from Latin as "conquer or die". Another symbol used by clan members is a clan badge, or sometimes called a plant badge. The original clan badges were merely plants worn in bonnets or hung from a pole or spear. Today, the clan badge attributed to Clan MacNeil is dryas. Trefoil has also been attributed to the clan, however this clan badge may actually be attributed to the McNeills of Gigha, a branch of Clan MacNeil. Trefoil has also been attributed to the Lamonts, another clan in Argyl. The Lamonts and MacNeils/McNeills both claim descent from the same O'Neill who settled in Scotland in the Middle Ages. There have been several tartans associated with the name MacNeil / MacNeill. However, in 1997 the chief of Clan Macneil directed members of the clan that there were only two tartans that he recognised as "clan tartans". These were: Macneil of Barra and Macneil of Colonsay. The Macneil of Barra tartan has been the standard Macneil of Barra tartan for over a century. McNeill/MacNeill of Colonsay tartan. One of the two official clan tartans of Clan Macneil. MacNeil tartan, as published in the Vestiarium Scoticum in 1842. The tartan is not recognised as a "clan tartan" by the current chief. Coat of Arms of the chief of Clan MacNeil painted in the great hall of Kisimul Castle. In Scotland, all coats of arms belong to a single person. The coat of arms typically attributed to clan MacNeil belongs solely to the current chief of the clan. A depiction of the coat of arms is painted in the Great Hall of Kisimul Castle in Castlebay, Barra, Scotland. Mac Neil – a romanticized Victorian era plate illustrated by R. R. McIan. The topic of who is a MacNeil can be a complicated one. By convention, anyone descended from a member of Clan MacNeil can claim membership. Because of the history of slavery in the United States and the Caribbean, however, many African Americans may bear a MacNeil surname. Because it was not uncommon for a female slave to bear her slave-master's child, several African American MacNeils may have legitimate descent from a MacNeil, however such descent can rarely be proven, and most African American MacNeils remain uninvolved with clan activities and do not claim descent from the clan. Generally speaking, Caucasians with MacNeil surnames number between 40,000 and 80,000 worldwide. Current chief: Roderick "Rory" Wilson Macneil of Barra, The Macneil of Barra, Chief of Clan Niall and 27th of Barra, Baron of Barra. 47 Roderick "Rory" Wilson Macneil Baron of Barra. Married to Sau Ming Kwan of Hong Kong. ^ Septs and Related Families Page Archived 28 May 2007 at the Wayback Machine Retrieved 2008-03-13 There are more than one thousand possible spellings of the name MacNeil. ^ a b c d e f g h i j k l m n o p q Way, George and Squire, Romily. Collins Scottish Clan & Family Encyclopedia. (Foreword by The Rt Hon. 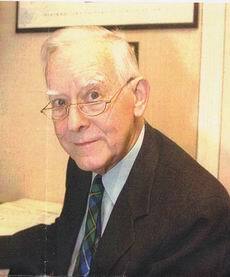 The Earl of Elgin KT, Convenor, The Standing Council of Scottish Chiefs). Published in 1994. Pages 254 - 255. ^ a b c d e Moncreiffe of that Ilk, pp. 81–84. ^ a b c Gibson, pp. 103–107. ^ a b Lyon, W. T. (7 May 2018). "The arms of the Scottish bishoprics". Selkirk : The Scottish Chronicle Offices. Archived from the original on 1 February 2015. Retrieved 7 May 2018 – via Internet Archive. ^ Way, George; Squire, Romilly (2000), pp. 224–225. ^ Mackenzie (1884), p. 536. ^ "Surnames of England and Wales". www.taliesin-arlein.net. Archived from the original on 11 October 2017. Retrieved 7 May 2018. ^ a b "Most Popular Last Names in the United States (rank 1001-2000)". mongabay.com. Archived from the original on 23 August 2017. Retrieved 7 May 2018. ^ Bureau, US Census. "Frequently Occurring Surnames from the 2010 Census". www.census.gov. Retrieved 22 June 2018. ^ a b c Clan Macneil history Archived 13 March 2009 at the Wayback Machine electricscotland.com. Retrieved 17 November 2013. Gibson, John G. Old and New World Highland Bagpiping. MacGill-Queen's University Press, 2002. ISBN 0-7735-2291-3. Wikimedia Commons has media related to Clan MacNeil. This page was last edited on 8 April 2019, at 18:55 (UTC).